L’interdit – Hubert de Givenchy – J'aime parfum! It is the eve of Audrey Hepburns 89th birthday on writing of this post. And it is appropriate to discuss my eternal love towards this peculiar human who I did not get to live with during our seperate times on this planet. The story of this perfume is very pleasant but its realisation in todays world of perfume is quite sad. The house of Givenchy is no longer the personalisation Audrey presented to the public. The ying yang has disappeared. Along have come reality stars and superificial empty ideas of luxury. L’interdit was created specifically for Audrey by Hubert. Well, his design house as one should know, a nose makes the perfume, the designer being a sort of a catalyst for its sales and publicity. But never was there a better catalyst than this pair of designer and muse. I bought my first L’interdit on eBay. It was the simple glass bottle with a gold twist cap, a splash bottle. I never quite thought this was a fresh bottle so I continued my search until I struck gold with a rare rechargeable case of L’interdit from the 1980s, full and sealed. 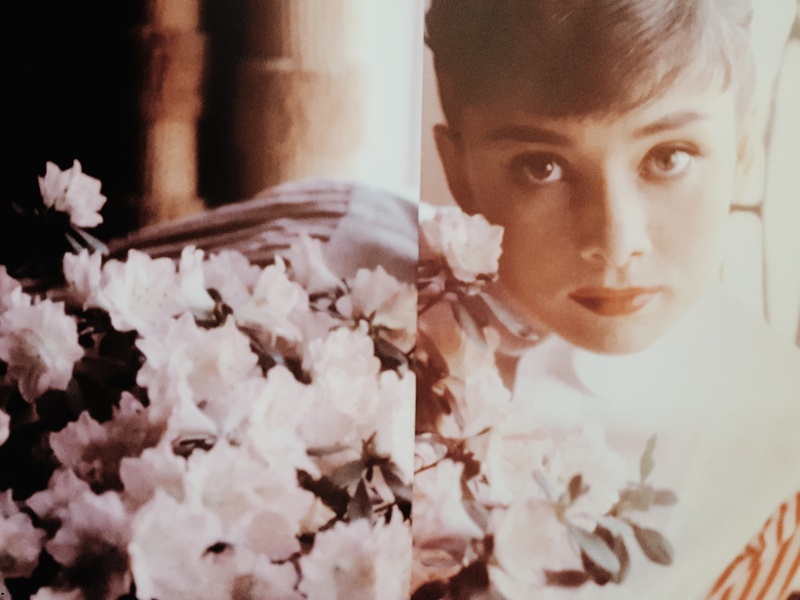 In an Audrey manner, the one sentence I can describe being enveloped in the scent of L’interdit is like falling gently into a bed of powdered pastel flowers. It’s floral and woody, no greens here. It is truly one of the most unique smells you can come across just like the person who inspired it. Iris definitely stands out along with roses and sandalwood and aldehydes. Hours after spraying it, there is this perfect nostalgic smell. Of a longing. Of a need for the presence of someone who has not come back. It’s melancholic. But it’s very comforting. There is a great deal to why I adore Audrey. Apart from her charming face and deep humanity, her longing for a parents love and attention, absence of one from early on in life and the results of it all, I am aware of them. Her views of this world, how simpliciy is better, how the nature is the best healer and how we need love more than anything, I believe in.